These are some of the applications being built by individuals and organizations using Mozilla technologies. If you would like to suggest other applications to feature here, please let us know. The all-in-one application formerly known as the “Mozilla Application Suite”, containing a web browser, a mail and newsgroups client, an HTML editor, web development tools, and an IRC chat client. Lightning is a popular calendaring, scheduling and task management extension. Sunbird® is a cross-platform application that brings Mozilla-style ease-of-use to your calendar. Adobe® Acrobat® is a family of computer programs developed by Adobe Systems, designed to view, create, manipulate and manage files in Adobe's Portable Document Format (PDF). Apica provides tools that help people test, analyze, monitor and improve their web application's performance. Atmail allows users to access POP3 and IMAP Mailboxes on any server of your choice. You and your users can experience webmail via a fluid, intuitive interface that excels aesthetically and functionally. BlueGriffon is a next-generation WYSIWYG editor for the web based on the Composer tool from the original Mozilla Application Suite that helps you create standards compliant HTML and CSS code. The only standalone cross-platform Wysiwyg editor able to natively create and edit EPUB2 and EPUB3 ebooks! And it's Powered by Mozilla. Celtx is the world's first fully integrated solution for media pre-production and collaboration. It replaces old fashioned 'paper, pen & binder' media creation with a digital approach. Cenzic provides products to protect Websites against hacker attacks. Unlike network security and SSL solutions, Cenzic tests for security defects at the Web application level where over 75% of attacks occur. Classilla brings your wonderful old Power Macintoshes back to life and back online with a port of Mozilla's code that works on the classic MacOS. Cloud Browse is an iPhone/iPad/iPod Touch application that allows you to browse any website using Firefox and play video or games using Flash and Java plugins. Convertigo Enterprise Mashup Server is the complete solution to enable developers to build web-based applications comprised of components from different sources but presented as a single, seamless experience. CouchDB is an open source document-oriented database and is designed for local replication and to scale horizontally across a wide range of devices. Cyclone3 is an extremely flexible open source framework designed for the development of content management systems and custom applications. Cyclone3 uses Mozilla technology to provide a desktop-like experience over the web. Elixon is the commercial content management system designed to radically simplify running your web site. Easily create pages, update content, embed images, link to PDF files and more. eMusic has released a new and improved download manager that includes a browser, extensions and themes and will help you rock-on without having to worry about how to download. Enlis Genome Personal gives you the tools to do whole genome presentation and analysis right on your computer. Explore and compare genes, chromosomes, genetic traits and more. The Epic Browser is made by and for people in India and comes customized with themes, applications, language support, cricket scores and more to help you surf the web better. Evergreen is an open source library automation system that helps library patrons find library materials, and helps libraries manage, catalog, and circulate those materials, no matter how large or complex the libraries. eXe is an open source authoring application that assists teachers and academics in the publishing of web content without the need to become proficient in HTML or XML markup. The Facebook Open Platform uses Mozilla technology as part of its infrastructure and enables you to build full applications that deeply integrate into a user's Facebook experience. FireCast is a Linux-based software platform for out-of-home digital signage networks. It uses Mozilla Firefox as the rendering engine for web content and interactive applications. The new Flickr Uploadr has been built from scratch to work on Windows and Mac OSX. Before you upload you can add titles, tags and descriptions, add photos to sets and reorder your photos. Google's free, downloadable campaign management application. Download your AdWords account to your computer, make your changes, then upload your revised campaigns. Google Gadgets for Linux provides a platform for running desktop gadgets under Linux that are compatible with the gadgets written for Google Desktop for Windows as well as the Universal Gadgets on iGoogle. IMVU is a new way to hang out and have fun with your friends online. You can create your own avatars who chat in animated 3D scenes. Check it out and experience 3D chat for yourself. Instantbird is a multi-protocol Instant Messaging client that uses the Mozilla rendering engine and the Pidgin libpurple. Using it, you can connect to all your different IM accounts. Kirix™ Strata™ is a "data browser" that brings the sensibilities and simplicity of a web browser to the world of tabular data, making it easy to access, view and use data from any source. Kiwix is an offline reader that brings Wikipedia and other online content to people without Internet access and is optimized to run on small devices. KompoZer is a web authoring system that combines web file management and easy-to-use WYSIWYG web page editing for people who want to create a professional-looking web site without needing to know web coding. Sit back and get ready for big-screen browsing. Kylo brings your TV and computer together to create the ultimate content experience. Take your HDTV anywhere on the web. litl is an Internet computer for the home that is easy to use, versatile and fun. Liberate your photos, view web sites as channels and have a great web experience. Logitech's Harmony remotes reduce clutter by letting you control multiple devices all from one remote—and Mozilla code is used for the software that helps make it all work. Lunascape is the world's first and only triple engine and triple add-on browser and it also lets you stay in sync with your Firefox bookmarks. MongoDB is a scalable, high-performance, open source, document-oriented database that bridges the gap between key-value stores and traditional RDBMS systems. A simple application that uses the Gecko browser engine to provide a browser for the low-cost laptop that will be made available to children in developing nations around the world. OneTeam is a versatile instant messaging client that is very intuitive to use. Even people who are new to instant messaging will find it easy to get started. The Open Komodo Project, based on the award-winning Komodo IDE, is a new initiative by ActiveState to create an open source platform for building developer environments. Palo extends Excel with cost effective OLAP technology. Financial controlling with Palo is easier, faster and consistent and helps you optimize planning, reporting, analysis and more. Pencil is an open source tool for making diagrams and prototyping graphical user interfaces. It supports built-in and user-defined stencils, can export to a wide range of formats and includes other powerful features. The Pentaho BI Suite is a popular open source business intelligence suite that provides a full spectrum of capabilities including query and reporting, interactive analysis, dashboards, data integration and data mining. Postbox helps you make the most of your email, offering powerful new ways to find, use, and view email messages and content, organize your work life, and get stuff done. QSOS is a method, designed to qualify, select and compare free and open source software in an objective, traceable and argued way. It is publicly available under the terms of the GNU Free Documentation License. Red Hat Enterprise Linux solutions provide the easy, no-risk path to open source cost savings. Use commodity hardware. Interoperate easily with existing UNIX and Windows infrastructure. Deploy applications you know and trust. Scenari is an open source application suite for creating professional standard multimedia documents using a publishing chain process to reduce costs and ensure quality control. SmartReport is a monitoring solution that provides information about the condition and performance of your IT infrastructure and integrates easily and quickly with your existing hardware. Sogo is a groupware server with a focus on scalability and open standards that lets you share your calendars, address books and mails with a completely free and open source solution. The Splashtop™ Web Browser is based on Firefox and can be used to start surfing the web within seconds of pressing the power button on your computer. Stylizer is a visual CSS editor that scraps conventional notions of file management, text editing, floating tool palettes and manual workflows in order to provide a simple and rewarding user experience. TomTom HOME gives access to a huge array of services for users of TomTom's navigation solutions, including installing maps, making back-ups and downloading software updates. 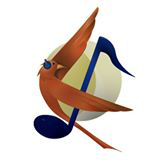 Trustedbird is an open source project managed by the French Ministry of Defence that is focused on integrating new enterprise features and extensions to the Thunderbird email client. TuneUp was created for music lovers, by music lovers. TuneUp automatically cleans up your music collection, gives you information about upcoming concerts in your area and more. WebSphere Lombardi Edition provides a unified business process management (BPM) environment for collaborative process improvement. Wine is free software that lets you run Windows software on other operating systems. With Wine, you can install and run these applications just like you would in Windows. WorkSmart.net provides a secure web-based suite of simple and easy to use applications that help you keep organized and work with your colleagues, customers and partners from one central location, anytime, anywhere. Wyzo is a new browser that optimizes your online media experience by giving you easy access to all your favourite media sites, downloading media content and informing your friends about your discoveries. Zimbra Desktop is a next generation email and calendar application you can install on your computer that incorporates the latest features and experiences popular on the web to create a totally new and more powerful tool. ZK® is the leading enterprise Ajax + Mobile framework and the easiest way to build great modern Java web applications supporting Java Mobile, Android, and various mobile browsers. If you’d like to find more applications that are being built using Mozilla technologies, see the full list of all known Mozilla-based applications.